This review originally appeared in the July 2007 issue (#227) of The New York Review of Science Fiction. In general, the populace of the United States has a memory problem. Events that should remain in the public consciousness for long periods of time disconcertingly get buried quickly under the latest round of’celebrity news and gossip. However, this wasn’t entirely true in the case of the tsunami that wrecked havoc upon Southeast Asia on December 26,2004. Unfortunately, a rare instance of the country actually paying attention to a significant foreign event for more than a few days ended abruptly when hurricane Katrina wrecked massive damage upon New Orleans and significant stretches of the Gulf Coast. However, like the heads of many other Asian relief efforts, Steven Savile and Alethea Kontis persevered and continued editing an anthology of original stories, of which all the proceeds (including the authors’ fees and royalties) will go to the Save the Children Foundation. 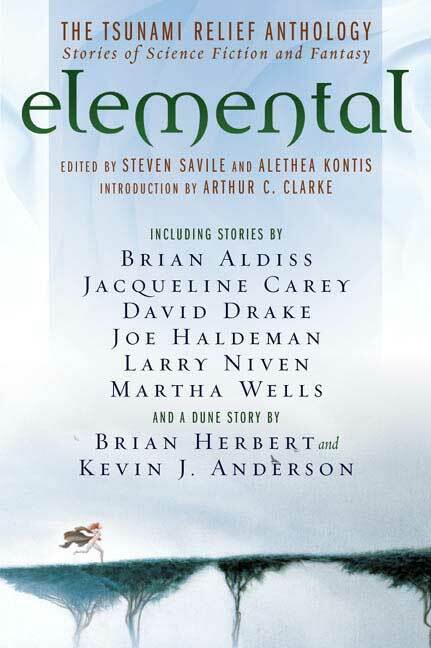 The final product, Elemental, appeared on store shelves this past summer.